Final Fantasy XI is an online RPG developed and published by Square Enix for the PlayStation 2. 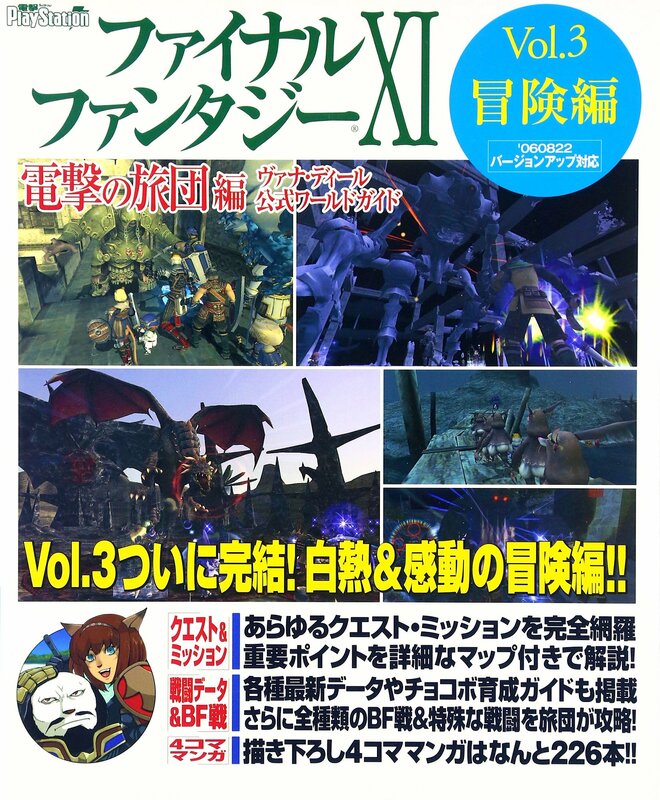 Final Fantasy XI Dengeki no Ryodan-hen - Vana'diel Koushiki World Guide Vol.3 Bouken-hen (ファイナルファンタジーXI 電撃の旅団編 -ヴァナ・ディール公式ワールドガイド- Vol.3 冒険編 lit. Final Fantasy XI: Lightning Brigade - Vana'diel Official World Guide Vol.3 Adventure) covers the Final Fantasy XI Online: All-In-One Pack 2006 edition of the game, released in Japan on April 20, 2006.